VideoPad Video editor is a video editing software by NCH software. 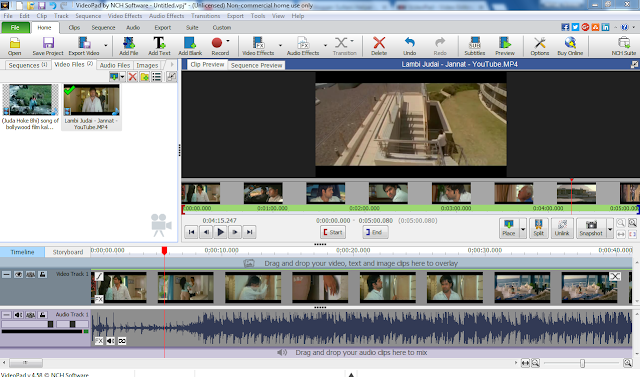 VideoPad is a powerful and easy to use video editor. The problem with the free version of VideoPad editor is the amount of clips you can add in one project. It become very frustrating when you want to export you project but it demands money to do so as you have added more clips then the allowed limit. The best part of VideoPad editor is the vast formats available for exporting video even in the free version . Ligthworks is another powerful video editing software by falan first released in 1989. Lightworks claims that some of the Hollywood films were prepared using their software. Light is arguable the most powerful video editing software when compared to other two in the list. The community of ligtworks add more power to the software. The main problem with lightworks in it’s hard to use user interface. Another down is limited formats available for exporting video in free version. 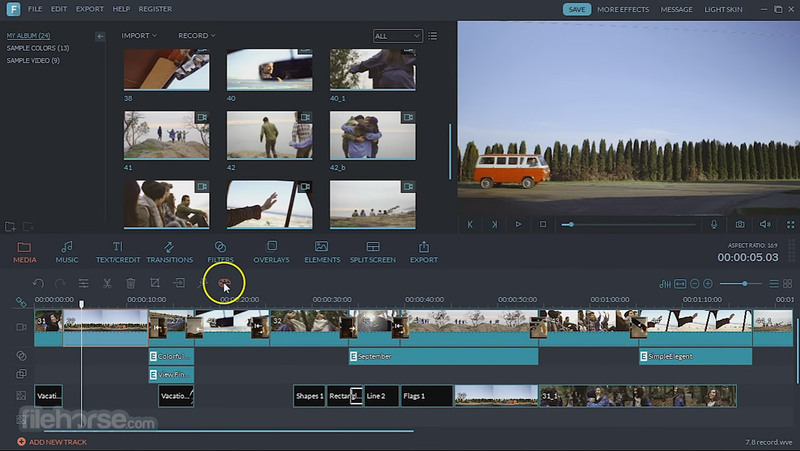 Filmora wondershare is very easy to use video editing software. It provides powerful video editing very easily to the user. Of the three video editor’s highlighted in this list, Filmora Wondershare is probably the bestt video editor out there but the question arise why it is ranked number lowest in my list? The free version of powerful and very easy to use video editor provide so much to the user but there is a catch. The video edited in free version of Filmora Wondershare has a watermark attached to it. This is the reason it is rated number three in my list. If you don’t mind the watermark, Then this one is probably the best for you.